When you think “Farmhouse”, modern chic is not exactly what comes to mind. But that couldn’t be further from the truth! 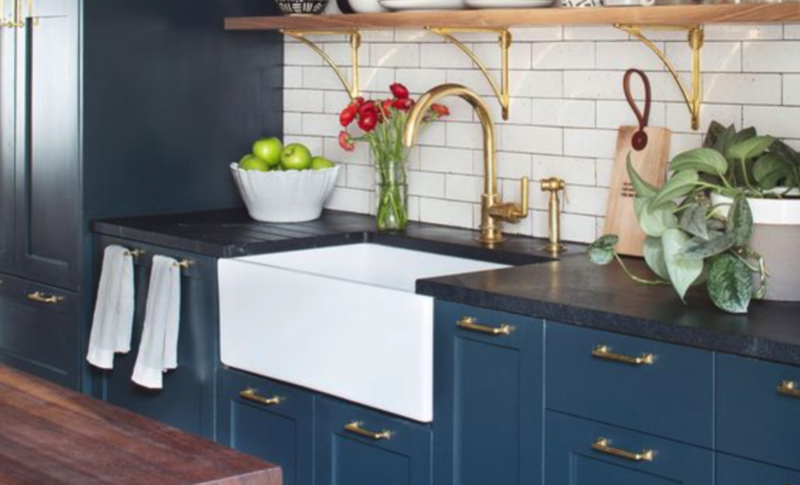 The farmhouse look is being brought into the contemporary age, and these gorgeous apron-front sinks are perfect for any home with a modern edge. We love this stunning piece surrounded by Rain Cloud by Corian. The intricate design is a perfect complement to the sleek-edged countertop. 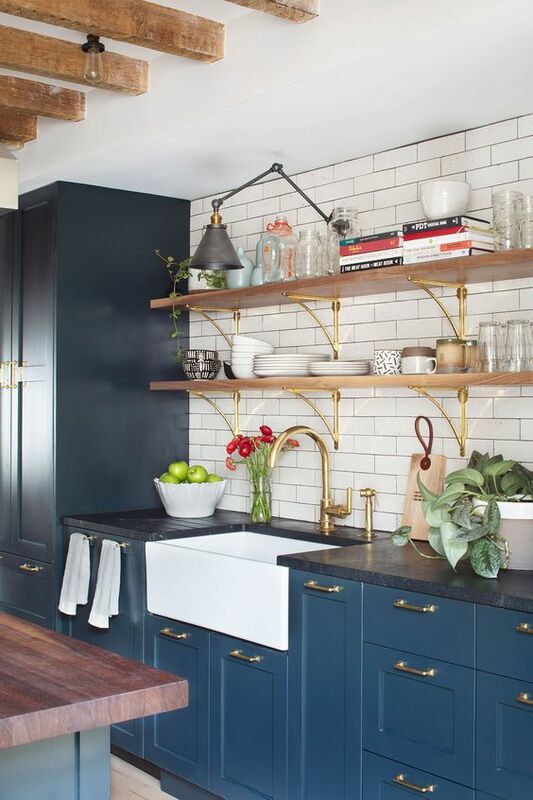 This kitchen highlights another way to revamp your typical farmhouse sink into flawless freshness. The faucet adds the ideal contemporary edge to a more traditional room, while the contrast of the white sink and design presents as a showpiece of modern perfection. 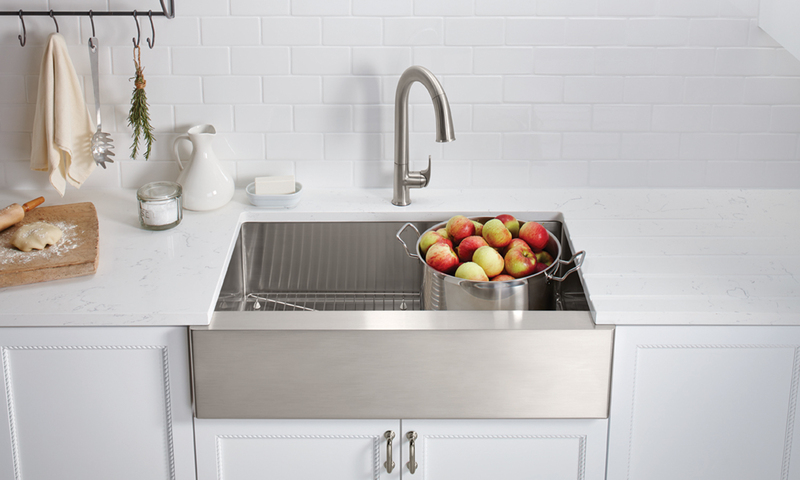 This sleek and shiny stainless steel sink is the perfect way to modernize your kitchen. This minimalist Kohler design is a sure way to add some interest to a contemporary kitchen. 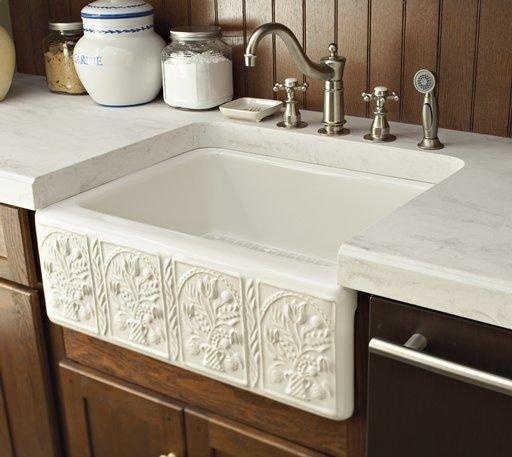 What do you think about the farmhouse sink? Questions? Always feel free to contact us!